When one receives the award, one posts 11 random facts about oneself and answers the 11 questions asked by the person who nominated you. One writes up 11 NEW questions directed towards YOUR nominees. 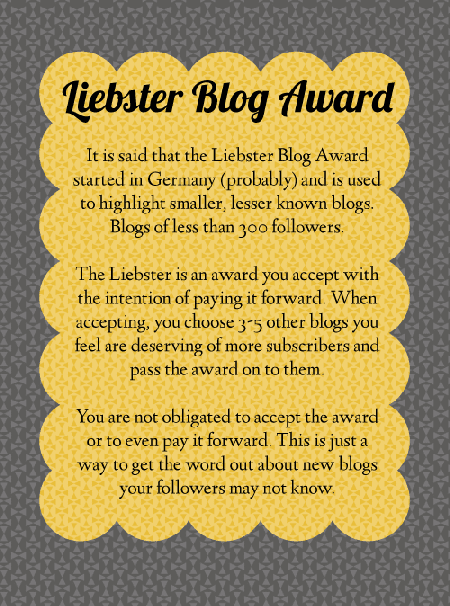 One is not allowed to nominate the blog who nominated one’s own blog! 1. I ran away from home at 18 and got married. 2. Surprise, that first time didn’t work out, but I’ve been married for almost 19 years now. 3. I have an entire closet of shoes and purses. 4. I won my first writing contest in eighth grade. 5. I collect jewelry, especially vintage costume. 6. I met Sting in a stadium elevator in Dallas. 7. I’m the oldest of my siblings and I’m married to another oldest child, which is unusual. 8. I have degrees in Business and Interior Design. I love decorating, design, architecture and historical preservation. 9. I’m very picky, about everything, but I’m also generous. 10. I’ve never been camping and the closest you’ll ever get me is staying in a Holiday Inn. 11. I have three daughters, three Christmas trees, two cats and one fat squirrel! 3. Log cabin in the mountains or expansive luxury house on an ocean shore? Luxury House on the ocean shore on the island of Capri. 4. Have you ever traveled to any destination that required the use of a passport? Yes, Italy, Spain, France. 5. What is your dream vacation destination? Istanbul or Egypt. 7. What is your favorite spot and/or activity for relaxing? Reading in a comfy chair. 8. In school, were you a teacher’s pet, the class clown, or super smart girl? Super smart girl, but nobody’s pet, actually I got tossed out of senior honors history because I told my teacher to go ‘f*@$ himself’! I also called him Turtle to his face! 9. Do you prefer clear blue skies or rolling thunderstorms? Clear blue skies. 10. What is your favorite childhood Christmas memory? Unfortunately, I don’t have one. 11. What is the next book you plan to read? Sea of Tranquility. 1. Who’s your Sexiest Man/Woman alive? 2. What’s the number one thing on your bucket list? 3. Do you prefer to live in the city or country? 4. What is your favorite city in the world? 6. Who inspired you to be a writer? 7. What type of pet do you have? 8. Was your mother really right about everything? 9. Do you prefer the beach or mountains? 11. Is education or experience more important? I know everyone is extremely busy especially with the upcoming holiday. I’m nominating 11 great folks that I’ve met via Twitter or Facebook, but know that they will not be crucified or have their nails pulled out one by one if they do not participate. I prefer the use of large power tools so I’ll just sever a limb with a circular saw, NO PRESSURE!!! I nominated people I would like to know more about, but do not wish for them to feel obligated to respond. 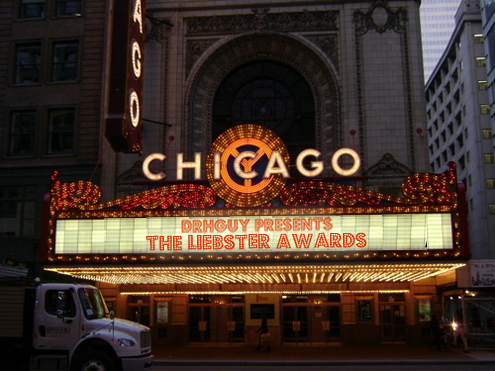 (Sorry if you have been previously nominated, too.) And for those nominated, whether they participate or not, go check out their blogs. You will find some really nice authors! Love it! Power tools...really? LOL Thanks so much for letting us peek into your life and accepting the Liebster Award. Loved reading this, Elizabeth! And we truly do feel we know you better. Now back to work (fun, really) getting OUR post up!